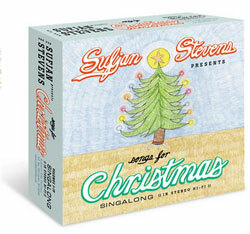 Sufjan Stevens’ box set of Christmas tunes releases today. We’ve ordered ours and it should be here any day now. The set includes 5 discs of traditional and new Christmas songs Sufjan recorded himself as Christmas gifts to his friends and family over the past several years as well as some cool original artwork. You can stream the entire set of albums at this site.